When General releases a new all-terrain tire, on- and off-road enthusiasts in the know take note. General Tire has been renowned for high quality and capable all-terrain tires for decades. 1. The Grabber A/TX is a hybrid of two proven General tires. 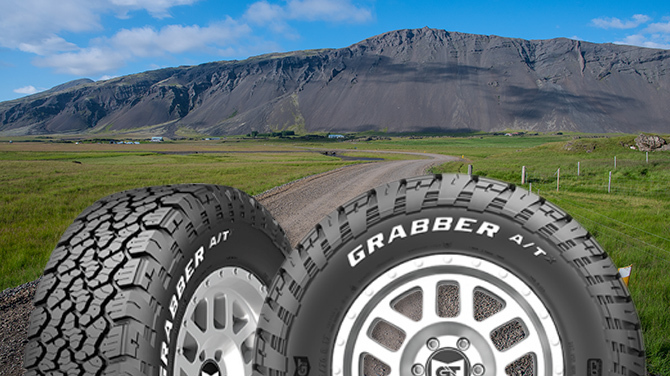 The Grabber A/TX combines some of the best elements of the Grabber AT2 (all-terrain) and Grabber X3 (mud-terrain) to create one “uber” all-terrain tire. 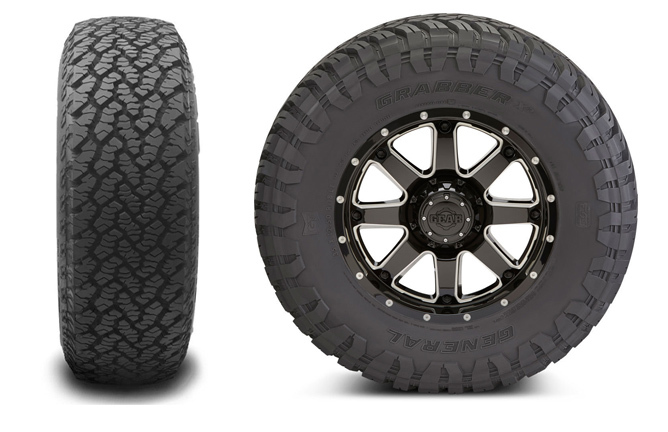 Grabber A/TX borrows the tread pattern and characteristics from the Grabber AT2, and the off-road focused, durable sidewall from the more extreme Grabber X3. The Grabber A/TX therefore benefits from a road-friendly tire tread pattern, with a boost in sidewall durability and grip from the X3’s shoulder lugs. The A/TX includes the Grabber X3’s 3-ply sidewall construction, which creates an additional level of puncture protection. The strong sidewall also allows for airing down, and running low psi in off-road conditions where it’s beneficial to do it. 2. Comfort features & long tread life. This tire features Comfort Balance Technology, a “tread cushioning system with an acoustic tread pattern that provides a more comfortable, quiet ride on the road,” according to GeneralTire.com. 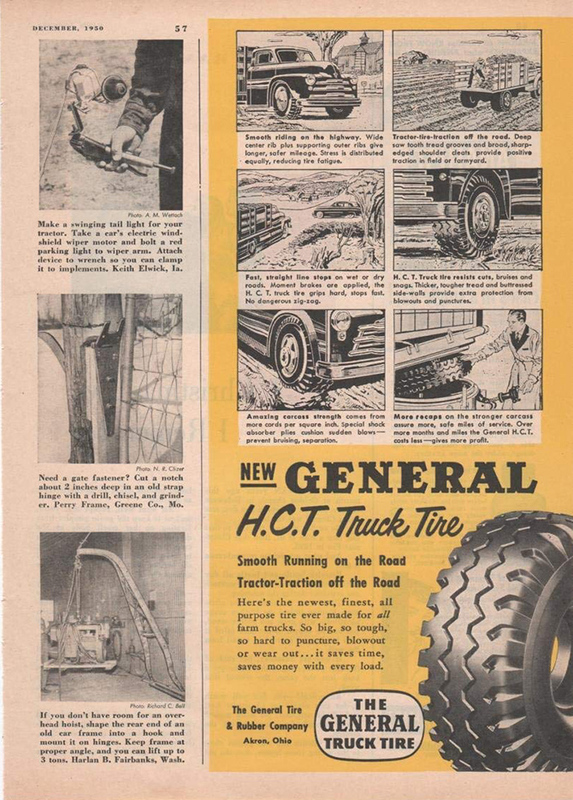 General’s Stabiltread Technology leverages a larger tread footprint (contact patch) and tread stiffness to encourage even wear and long tread life. Tread life warranty is strong – 6 years and 60,000 miles for metric sizes, 6 years and 50,000 miles for LT and flotation sizes. 3. 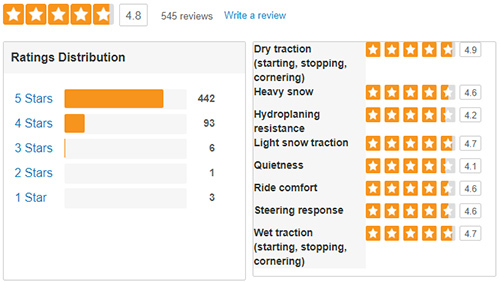 Meets the objective traction standard for severe snow service (the three-peak mountain snowflake symbol). 4. Available in 38 sizes ranging from 14-20". 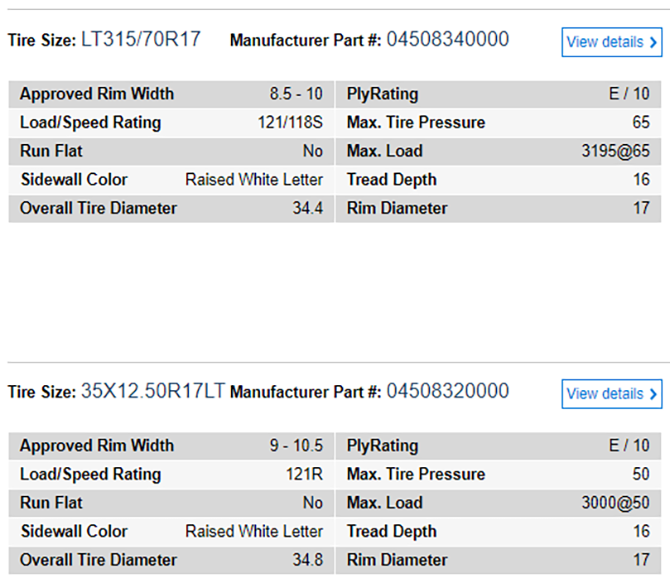 Standard and flotation tire sizes are available. Many sizes are E (10-ply) rated, allowing for substantial hauling and towing capacity. They say that past performance is no guarantee of future success, but when it comes to tires, reliance upon tried-and-true technology is never a bad approach. The General Grabber AT2 is one of our most popular all-terrain tires, and proven in demanding on- and off-road conditions by users over hundreds of thousands of miles. User feedback on the Grabber A/TX is all positive so far. If you’re in the market for a versatile all-terrain tire, we suggest you look at the Grabber A/TX.